Home›SMB Financial›QSEHRA: A Health Coverage Solution for You? QSEHRA: A Health Coverage Solution for You? Qualified Small Employer Health Reimbursement Arrangements (QSEHRAs) allow small employers that don’t offer health coverage to reimburse employees for their individually-obtained health coverage or their medical expenses on a tax-advantaged basis. QSEHRAs were created by the 21th Century Cures Act at the end of 2016 and became effective at the start of 2017. Now the IRS has issued extensive guidance explaining the rules for QSEHRAs. Here’s an overview of the rules for QSEHRAs to help you decide whether you qualify and if it’s a better option than obtaining a company health plan. QSEHRAs are not a group health plan but are a way for employers to help employees pay for their health coverage or their medical expenses (one or the other but not both). Reimbursements to employees for coverage they obtain themselves are tax free to employees and exempt from payroll taxes. QSEHRAs versus health plans. The biggest difference in these options to help employees have medical coverage and stay healthy is cost. Last year a study found that the average cost for family coverage was over $18,000 (although not necessarily paid entirely by the employer), which is nearly double the maximum reimbursement to an employee for family coverage in 2017. The amount of the reimbursement for 2017 is capped at $4,950 for individual coverage, or $10,000 for family coverage ($5,050/$10,250 in 2018). Carryovers of unused amounts are permitted, but the reimbursement in the following year is subject to the dollar cap. If a plan covers less than a full year, the dollar limits must be prorated. The QSEHRA may not have any deductibles before reimbursing an employee. The arrangement must be nondiscriminatory, meaning that it’s offered to all eligible employees on the same terms. To have a QSEHRA, both employers and employees must meet eligibility definitions. Eligible employers. The definition of a small employer is easy; it’s an employer that is not an applicable large employer subject to the Affordable Care Act’s employer mandate. This means a small employer having fewer than 50 full-time and full-time equivalent employees. If a company is a small employer at the start of the year but hires additional employees, it won’t cease to be a small employer until the start of the following year. It can continue the QSEHRA for the remainder of the year it had initially qualified. Eligible employees. If a company has a QSEHRA, participation must be provided to all employees except those who have not completed 90 days of service with the company, those under age 25, seasonal (generally less than 9 months) or part-time (generally less than 35 hours) workers, and those covered by collective bargaining. It cannot be provided to former employees or non-employee owners. The employer cannot have any other health plan. However, the employer can contribute to an employee’s health savings account (HSA) or allow employees to make pre-tax contributions to their HSAs. An S corporation does not fail to be an eligible employer when it reimburses coverage for a more-than-2% shareholder. The coverage in this case isn’t tax free to the owner; it’s treated as taxable compensation. The owner can then deduct this amount on his/her personal return as an adjustment to gross income. From the employee perspective, there’s coordination between the QSEHRA and the premium tax credit. Whether an employee who applies for health coverage through a government Marketplace is eligible for the premium tax credit depends on the reimbursements from the QSEHRA. If you decide to move forward, keep in mind that you must give written notice of the QSEHRA to each eligible employee at least 90 days before the beginning of each year. But for a QSEHRA starting in 2017 or 2018, notice can be timely if given by the later of February 19, 2018, or 90 days before the start of the plan. There’s a $50 per employee penalty ($2,500 maximum) for failing this notice requirement. Note: This Notice is not yet posted online. You need to set up procedures for employees to substantiate their costs to you. 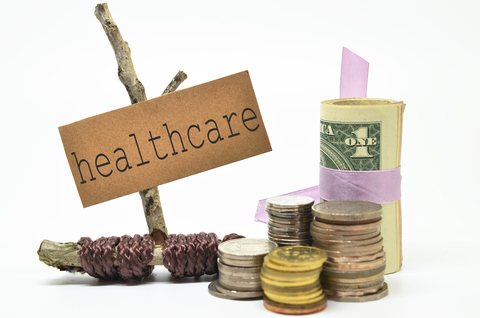 These can be the same as those used for flexible spending accounts (FSAs). You must report reimbursements on employees’ W-2s. But you don’t have to provide Form 1095-B, Health Coverage, to employees. If you want to use a QSEHRA, be sure you get it right. If you don’t (e.g., you fail to obtain substantiation for reimbursements), you face a $100 per day, per employee penalty. Discuss the QSEHRA with your CPA or other benefits advisor. How Healthy Are Wellness Programs?